Every year, members of ISACA gather to network, learn, teach, and get up to speed on the latest trends in tech security. In 2018, the North America Computer Audit, Control and Security conference — the largest of its kind — took place in sweet home Chicago. And we were there to shoot, edit, and finalize a sizzle reel in one crazy weekend. 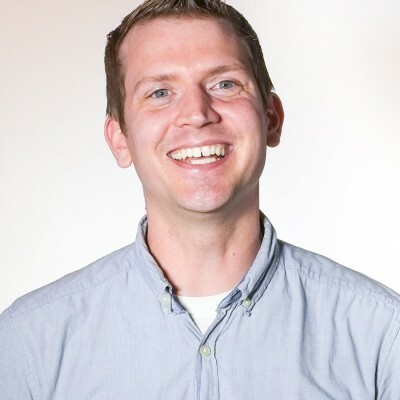 Normally a shoot like this would take a few weeks of planning and coordination, and then about a week of editing and finalizing — but this sizzle video needed to be done for the last day of the conference, and we couldn’t use footage from other conferences. So how did we cram a week’s worth of editing into nothing? Coffee and beef jerky. And some meticulous planning. One of the hardest parts of an edit is the motion graphics. Luckily, we were already working hard on an exciting entrance video that told the story of ISACA and the CACS conference. In the process of making the entrance video, I knew I had to prepare for the end sizzle reel. So I matched the exciting graphics that we used in the first video and developed some templates that would fit nicely in between live shots of the conference. With that in mind, I started putting together my shot list and worked with a copywriter to develop the bones of a story that we could use. Our intro video had a heavily-branded, global focus with some exciting music. 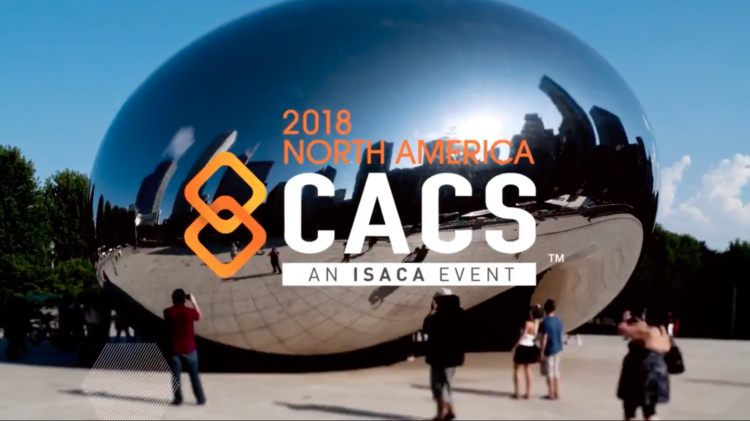 We knew that this sizzle reel had to show how exciting and fun CACS 2018 was, so we kept a focus on the big energy moments — the opening keynote, the outside activities and the beautiful Chicago scenery. Knowing all the different shots needed and the little time we had to achieve so much, I got our crew together and we brainstormed with the client. We got maps of the outside events, the hotels and the conference itself. We made sure that we knew when and where the big talks were happening — we even did a pre-conference tour to decide on how we’ll get shots without interrupting speakers. Shotlist, crew, gear, and maps in hand, we were ready for the big weekend. CACS arrived. We brought all our gear to the hotel, and set up our own little “war room.” We had chargers, cameras, gimbals, my makeshift editing station and plenty of caffeine. With everything we needed set up and on-site, we ventured out to capture out first footage — B roll of attendees registering. Next, we made our way to the House of Blues to capture the welcoming cocktail hour. The second day started off with the opening keynote. I knew we needed to feature this in the video, so I set up and paid particular attention to these shots. And I was right, nearly everyone we interviewed said it was their favorite session. Then my crew and I got together, reviewed the remaining shots on our list and split up to get as much footage as we could, checking in as the day moved on. The second day went similarly — that is until the end. Editing takes time, and we didn’t have much of it. So with only another full day to shoot left, I knew I needed to get a start. I pulled my crew aside and I looked through the notes I had been taking on all of the shots. I got their perspectives on their favorite shots and from there I started pulling selects. All of my best shots that would tell the most exciting story. And while I didn’t have everything I’d need, these selects would be a good baseline for the next day of shooting. With about 24 hours to go before the public premiere of the sizzle reel, I sat down and started putting all the pieces together — at least what I had. We had a very good start, but I was still directing from our war room. I made sure to give my crew a list of shots that I needed to complete the video each time they came back. More and more selects. Within a few hours, I had a very rough cut — more so than I am normally comfortable with. But with the time constraints, I needed to push ahead. We got our client to take a look and provide early feedback so that I could finish up in time for the morning. So I grabbed my coffee and beef jerky and pulled an all-nighter to get it done. My deadline was 6 AM. The client needed some time to review, and I needed time to revise and render before the 9 AM showing. Thankfully, my initial rough cut provided some alignment and there were only minor tweaks necessary. I made the updates, rendered it out and got to the sound check just in time. And people loved it. The client was happy, the attendees were happy, and I was tired. It was a long few days, and I had to pack up and head home. But it was worth it.